When you are in debt, choosing between paying off debt or investing can truly seem like a catch 22. If you concentrate on paying off your debt, you miss out on investment opportunities. On the other hand, focusing solely on investing means that your debt will hang over your head for even longer. So, which is the right path to take? Although it truly depends on what is right for you and your situation, consider doing both at the same time. Would you turn down free money? You would have to be crazy to do so, right? Well, if your employer offers a match program for your retirement account, you may be passing up free money by underfunding your accounts. That’s why when it comes to the choice to pay off debt or invest; experts fully support doing both, especially if your company offers a match. Begin by finding out if your employer will match your contributions to your 401(k) or retirement account. If they do and you are not taking full advantage of it, you are passing up free money. Although it may feel like you are earning less in each paycheck, the reality is that you will be saving for your future twice. You will fund your retirement account and your employer will do the same! Since you never see the money in your account, you are forced into saving, which many of us need as an extra push to plan for our futures. Use whatever extra remains to pay down your debt. 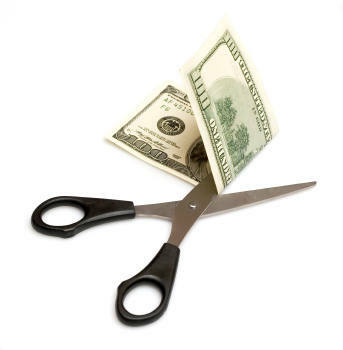 This allows you to eliminate the chose of pay off debt or invest, as you can do both! For many of us who feel overwhelmed by debt, creating a plan to pay it off can be the most daunting part. However, this is actually the most important reason why you should not limit yourself to just paying off debt or investing. This will help you establish discipline that will transfer to other areas of your life. In addition, you will begin meetings your savings goals and lessen the stress and worry that comes with financial uncertainty. Although it may seem like once you pay off debt you will still have time to invest, you do not want to continually put off your financial goals. If you want to break the cycle of debt, you need to begin now and stop looking at it as a choice between paying off debt or investing. That way, once you do free yourself of debt, you are already ahead of your financial plan! Think about your situation and how you can tackle your debt the best, all while saving for your future. Although it is not easy to decide not to choose between paying off debt or investing, it is the wisest choice for your future. Take this challenge head on instead of shying away from it. After all, if you still have debt and no investments for the future, your current plan of attack is not working and needs to be altered. Seize the moment and create a simple, straightforward plan that will allow you to work towards achieving two goals at once: paying back your debt and saving simultaneously.